Denise Mankin Reed, age 60, of Woodbury passed away Sunday, March 24, 2019 at St Thomas Rutherford. She was a native of Cannon Co. Survivors include her husband of 37 years, Terry Russell Reed of Woodbury; Children Casey and C.W. (Atheana) Reed of Woodbury; Granddaughter Sadie Grace Reed; mother, Elizabeth Joy Jernigan Mankin; brother Kevin "Scooter" (Dorinda “Dodie”) Mankin; brother and sister-in-laws, Gary and Wanda Reed, Greg and Lisa Rogers, & Barry and Anita Bush, all of Woodbury. Several nieces and nephews also survive. 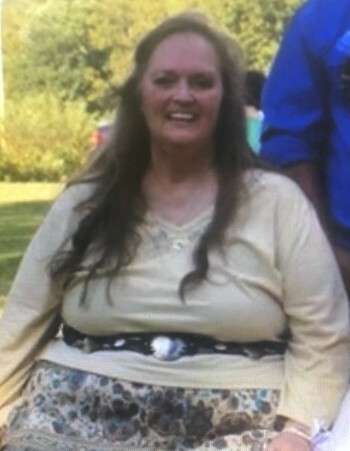 She was preceded in death by her father, Clifton Wayne Mankin, Sr.; and brother Clifton Wayne Mankin, Jr.
Denise was a member of the Woodbury Church of Christ and a homemaker. She enjoyed going camping and fishing. Funeral Services will be 1 PM Wednesday, March 27, 2019 in the Chapel of Woodbury Funeral Home with Bro. Charlie Bowman officiating. Interment will follow at Cateston Cemetery. Visitation with the family will be from 4 PM until 8 PM Tuesday, March 26, 2019.